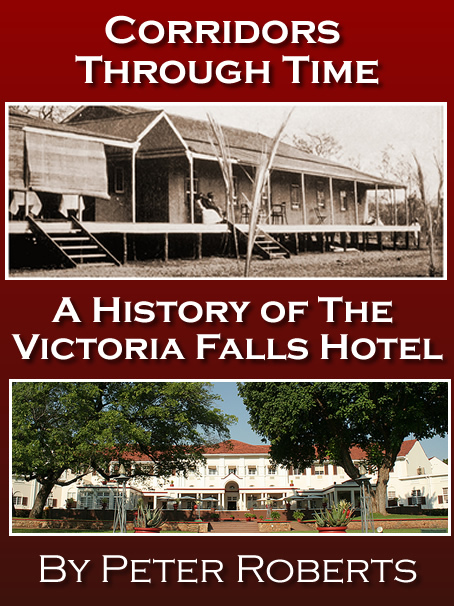 The story of the developments that led to the formation of today’s Victoria Falls can be pieced together from the record preserved in the sediments both upstream and downstream. Having left the seasonal swamps of the Barotse Plain, the Zambezi passes over a series of rapids in the underlying basalt before entering the Chobe Swaps at Katima Mulilio. From there to the Mambova Rapids, the river flows with a very gentle gradient across its own alluvium. The alluvial sediments of the Chobe Swamps fill a rifted basin, one of several still forming in the southern African interior, at the southern extension of the East African Rift System. These basins are linked by stream lines and contain river and lake sediments, dating from the last few million years which broadly delineate them. Whereas today the Okavango ad Chobe basins contain swamps, the surface of the Makagadikgadi now forms a series of salt pans that are dry for most of the year. Fossil beach lines around the pans record the former existence of large lakes (Cooke, 1980). Middle and Late Stone Age sites occur on or near these ancient beaches, and dates obtained from associated carbonate and shelly deposits show that lakes have existed at various levels over the Makgadikgadi during periods extending from at least 50,000 years ago into recent times. It is believed that originally the Upper Zambezi drained into this huge ancient lake, and that the middle Zambezi existed as an independent river catchment. Eventually the Zambezi broke out from this inland sink, and eroded its current path, helped by the massive volumes of water as it drained this huge inland lake. The point where the lake overflowed and eroded into its former margins is seen at Katombora, linking the Upper and Middle Zambezi river courses that we know today. However the Okavango River still has not escaped to the sea and remains trapped, forming the inland wildlife havens of the Okavango Delta. This event has been estimated to have occurred some 125-150,000 years ago, and more recent alluvial deposits suggest that the lake has in more recent times partially reformed, perhaps even periodically recapturing the waters of the Upper Zambezi, from 50,000 years ago to even as recently as 1,500 years ago. This process, whereby a existing river channel in a lower catchment area joins with another river in a higher catchment area (in this example the two sections of the Zambezi above and below the Makgadikagadi Lake), is known as a river capture, and is usually when a river breaks through into another's catchment by headwards erosion - the process whereby a river erodes upstream into its own watershed in a balance between the volume of its flow and decent to the sea. This process is the erosive force which often creates minor waterfalls or rapids in rivers as they erode deeper paths into their own river beds - known as downcutting. 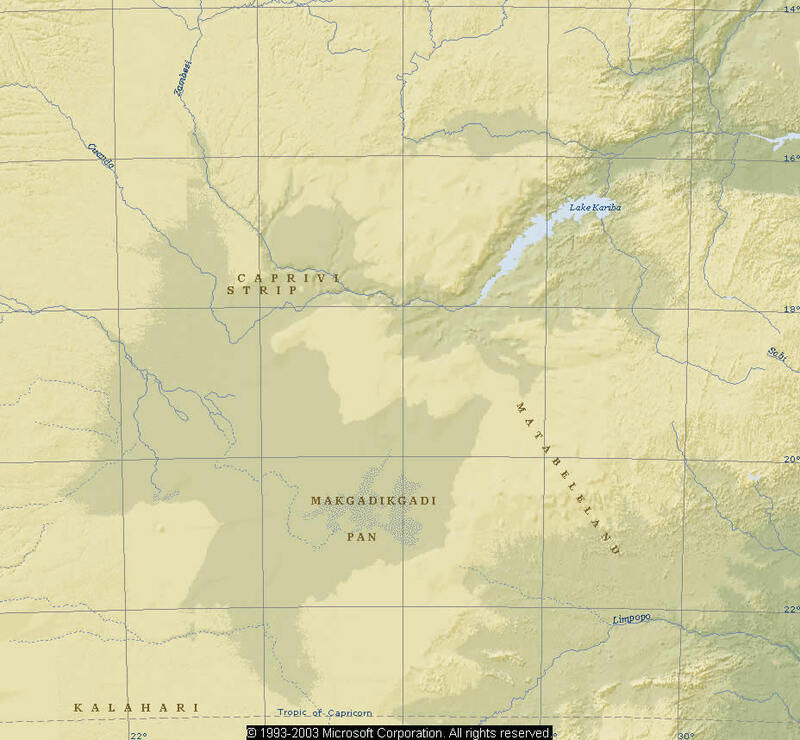 However, in this instance, the overtopping of the Greater palaeo-lake Makgadikgadi caused a catastrophic flood which would have provided the river with huge erosive power. As a result therefore of the linking of the two river sections, and the erosive processes of headwards erosion and downcutting as the river adjusted to its new gradient and increased volume of flow, the gorges and rapids that we see along the 110 metre length of the Batoka Gorge were formed. In these sections the river is still actively eroding or downcutting, and at a faster rate than in the upper reaches above the Falls themselves. Evidence for the timescale of these events has been found in the tools abandoned in the terraced river gravels in the Middle Zambezi. It is believed that the Middle Zambezi River, prior to capturing its Upper Catchment, flowed at the level of the highest terraces, which were isolated, after capture, by the massively increased flow cutting into the river’s bed. The archaeological record suggests that this degradation of the channel began around the time that Stone Age tools of Sangoan type were being made. ...The date of the Sangoan is only imprecisely known. It probably falls within the general period 150,000-125,000 years ago. This was the time of the last interglacial period, when the world was on average some 2 degrees Centigrade warmer than it is today and rainfall over most of Africa was rather higher. Sangoan remains are overlain by a Middle Stone Age succession, of which the earliest Middle Stone Age stages may belong to a time of global cooling, marking the end of the last interglacial period an the start of the last ‘Ice Age’. 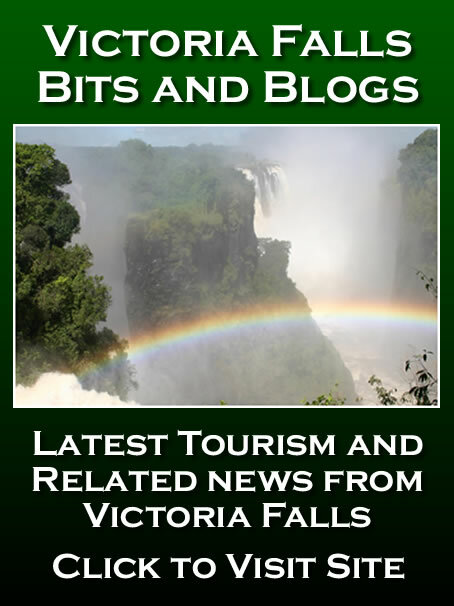 Flow along the Zambezi River and over the Victoria Falls has been much reduced and may have virtually dried up for periods of perhaps hundreds or thousands of years since the time of capture. Shoreline features around the Makagadikgadi Pans, up to and including 945 metre lake stands, have been dated to Middle and Lake Stone Age times, long after Sangoan people witnessed capture and the great flood. Fossil beach lines around Lake Ngami and the Mabele Depression indicate a series of lakes at 936 metres in the recent geological past and as recently as 1,500 years ago (Shaw 1985). A complex history of epic geographical processes, of ancient lakes, river captures, cataclysmic floods and climatic change is completed with the understanding of an evolving landscape effected by ongoing tectonic activity at the southern extension of the East African Rift System. 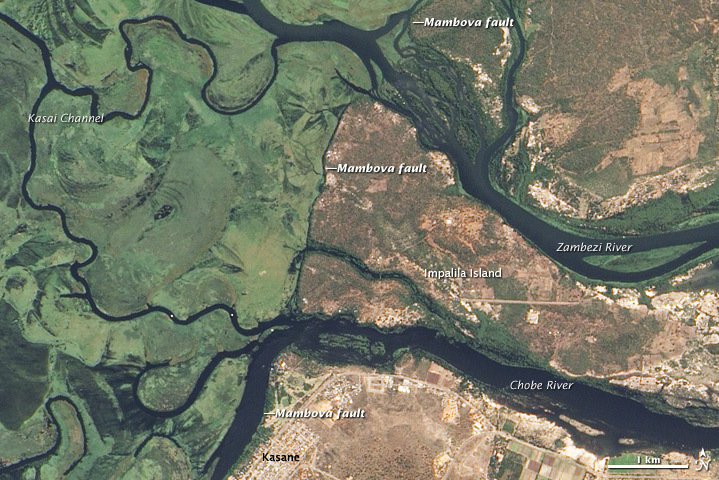 Fault lines to this day influence flooding and drainage patterns, as can be seen in this satellite image of the Mambova fault line. 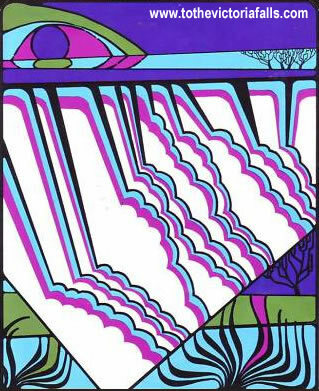 Bond G (1975) The Geology and Formation of the Victoria Falls. In: Phillipson D W (Ed). Clark, John Desmond. 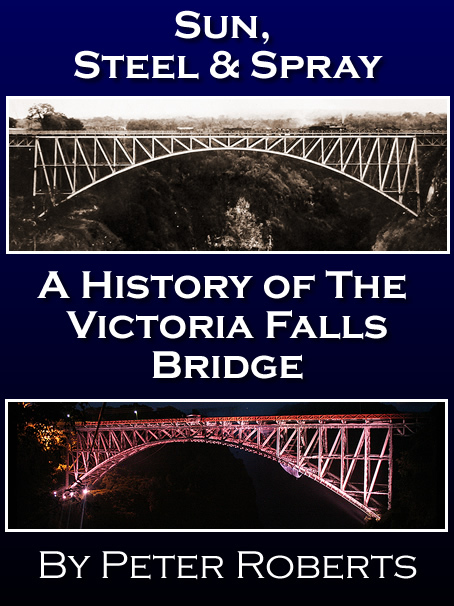 (1952) The Victoria Falls : A Handbook to the Victoria Falls, the Batoka Gorge, and part of the Upper Zambesi River Lusaka, Northern Rhodesia : Commission for the Preservation of Natural and Historical Monuments and Relics. 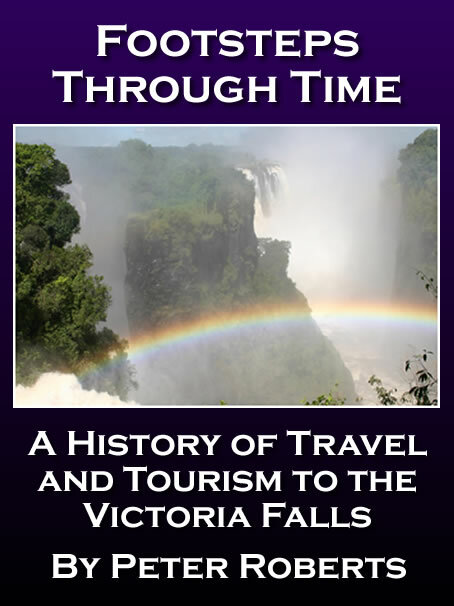 Derricourt R M (1976) Retrogression Rate of the Victoria Falls and the Batoka Gorge Nature 264, pp 23-25.